Divi Flamingo Beach Resort and Casino has piers with direct access to the water. Tropical and fun, Divi Flamingo Beach Resort and Casino is the perfect base for vacationers drawn to the laid-back vibe on Bonaire and world-class Caribbean diving. The resort has two pools, a spa, a casino, kids’ club, and two restaurants. An optional all-inclusive package includes food, drinks, and a variety of activities including snorkeling and sunset yoga. Spacious oceanfront and garden-view rooms and suites are decorated in bright colors. Private balconies overlook the Caribbean Sea and invite guests to relax after a day of diving. 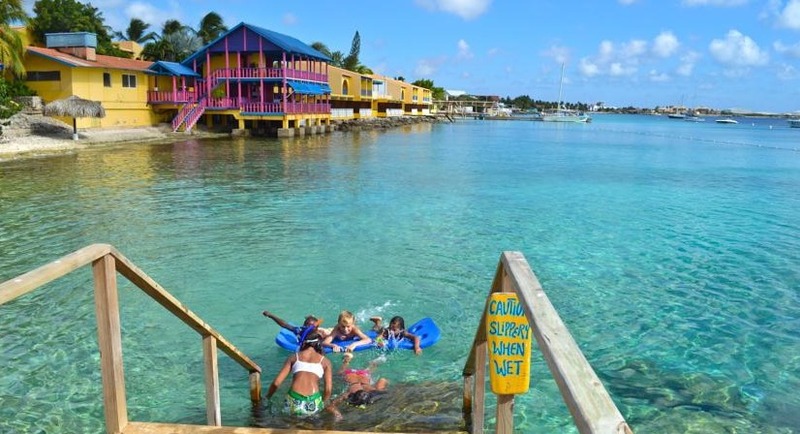 The resort’s Divi Dive Bonaire is a diving centre offering PADI courses. Fly into Flamingo International Airport, Bonaire (BON). The resort is about five minutes from the airport. Visit Divi Flamingo’s website for more information.